How to Make Savings on Car Rentals in Melbourne? Are you going on an important business or personal trip to Melbourne? Want to drive in a car but don’t want to put more wear and tear on your vehicle? At this moment, you have no other option than opting for car rentals in Melbourne. If you are worrying about the cost involved in renting a car, then read on to find some excellent ways to save on car rentals. If you are traveling alone, you can hire a compact car for your trip as the rental will be cheaper. On the other hand, you can opt for a mid size car if you are traveling with your family or co workers. SUV and mid size cars can handle the comfy needs of your passengers and ensure safe ride to your destination. Car rental companies are mushrooming across Melbourne and this makes it really daunting to choose the right service provider for you. However, checking the experience of the company and their reputation lets you determine whether the specific company can be hired for your Melbourne trip or not. Before you enroll with car rental in Melbourne, it is worthwhile to explore online websites to find the best deals. Most of the rental companies run promotions to attract travelers, and if you are able to find such offerings, you can save a great deal of money. 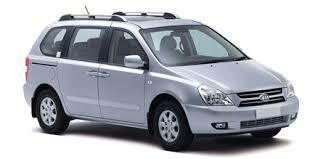 To get the best rate on car hire in Melbourne, you can call around several companies for quotes. Each company tries to under-quote than their competitors to get your business. After comparing the quotes obtained, you can go with the one that provides the best offerings and reasonable price on car rentals. While renting a vehicle from the car hire company, you need to learn about hidden fees such as cleaning fees, vehicle refueling charges, extra insurance and late return fees. When these fees rack up, you will end up paying more than the reasonable charges. So, knowing about all hidden fees before reserving a car with the rental company is extremely crucial. AUZ Rental Cars is a leading car rental company in Melbourne promising quality services and great prices. We make certain that our rentals are cheaper than our competitors, but without compromising on the quality.